All I really got goin’ on today is a pretty picture. 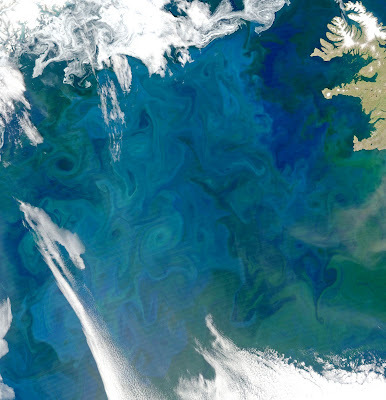 This is an image from a few weeks ago of the North Atlantic (note Iceland in upper right) showing fantastic swirling clouds of phytoplankton. To check out the original image and more information click on photo to go to the Earth Observatory website.